Agnes Hilda Porter, studio portrait (by George A. Daniel, Newcastle), in card mount, c.1918. From the Royal Newcastle Hospital Archives, University of Newcastle, Cultural Collections. 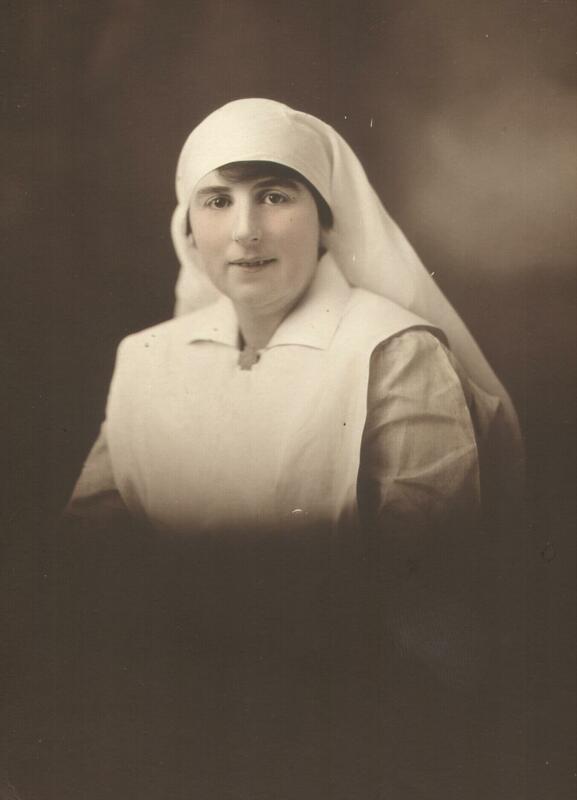 Agnes Hilda Porter was born in East Maitland in 1894. She devoted her life to serving the sick and injured across various Hunter Valley hospitals. She was the Matron of the Brentwood Hospital in Musswellbrook from Febrary 1946 to May 1948. She made an impact there, with one board member saying, "Your sympany and understanding have made you beloved by all. We have accepted your resignation with very deep regret, but we realise , after your years of strenuous work at Brentwood and Birrille, you deserve a long and much needed rest." Matron Porter, however, did not get much rest, as she soon was hired to serve as Deputy Matron at the Royal Newcastle Hospital. Matron Agnes Hilda Porter was appointed Matron of Royal Newcastle Hospital on February 14, 1958 and resigned December 15, 1960. "MATRON PORTER." The Muswellbrook Chronicle (NSW : 1898 - 1955) 7 May 1948: 1. Web. 4 Jul 2013 <http://nla.gov.au/nla.news-article107726949>. Sister Porter, Father Christmas, unidentified nursing sister and infant patient, c.1945. 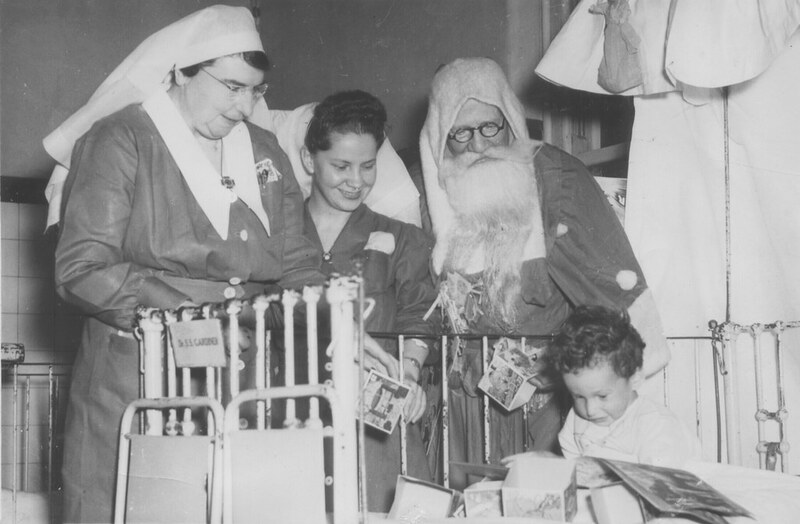 From the Royal Newcastle Hospital Archives, University of Newcastle, Cultural Collections.